The majority of people name a close relative to be the executor or executrix of their estate without giving much thought to whether or not that person is qualified to perform the duties that are being bestowed upon them. The reality is that most people feel honored to be named as the executor of someone’s estate but don’t realize that they don’t know what they don’t know about settling an estate. There is plenty of information available on the internet; however, the task of settling even the simplest estate can be onerous and time consuming for someone who has never done it before. Even uncomplicated estates can take 1 to 2 years to complete. It is for this reason that we decided to obtain the Certified Executor Advisor (CEA) accreditation in order to become a specialist in advising Canadian executors who are tasked with settling an estate. 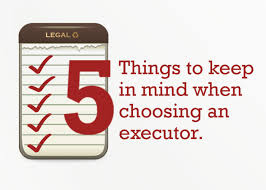 It is likely that all of a person’s trusted professional advisors have some general knowledge that is required to assist an executor in settling an estate, however, a Certified Executor Advisor has gained a practical working knowledge in all areas so that they can quarterback the other professionals involved in order to assist the executor in completing their task as efficiently and effectively as possible while avoiding any liability.